Do you prefer to clean or to cook? For me, I’d much rather cook (or preferably bake, but a person cannot live on cupcakes alone). I bet that’s not surprising to anyone in the least, seeing as I run a baking blog, not a cleaning and organization blog. I’d like a system where I do a few small things every day, sweep the floors, wipe down the bathroom sink, etc. and then have do the bulk of the cleaning one or two days. But I have yet to figure out what’s manageable. Right now, I’m doing laundry on Monday and Thursdays and I like the fact that I’m not trying to do a load everyday. Hoping to find a similar system for cleaning, so give me all your tips! Staying home has also been a lesson in self-discipline. Now that I don’t have someone else scheduling all my time, it’s easier to put things off until tomorrow. Or just take a nap first and do them later. And my baby is now mostly sleeping through the night and I probably can’t justify taking a nap every day. Although, I love naps. Anyway, that has little to do with these cupcakes other than the fact that I’d rather be baking cupcakes than cleaning. 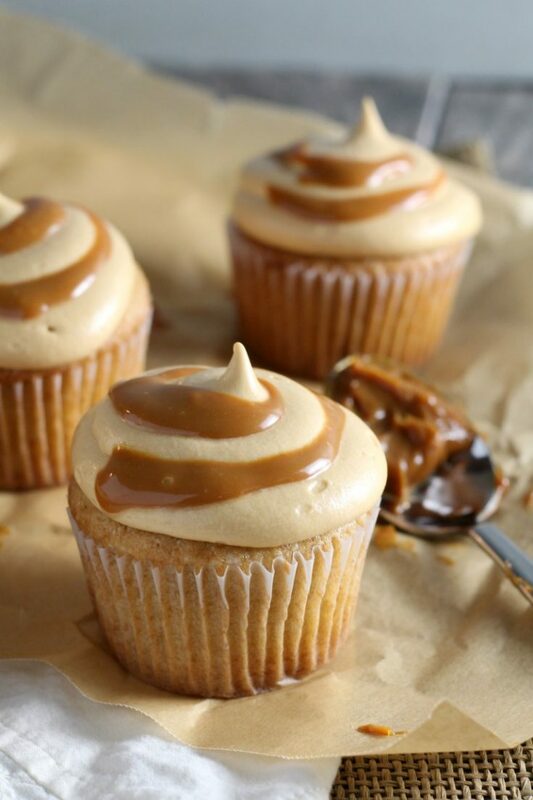 Soft, caramel cupcakes with a dulce de leche frosting to satisfy all your sweet milk caramel dreams. 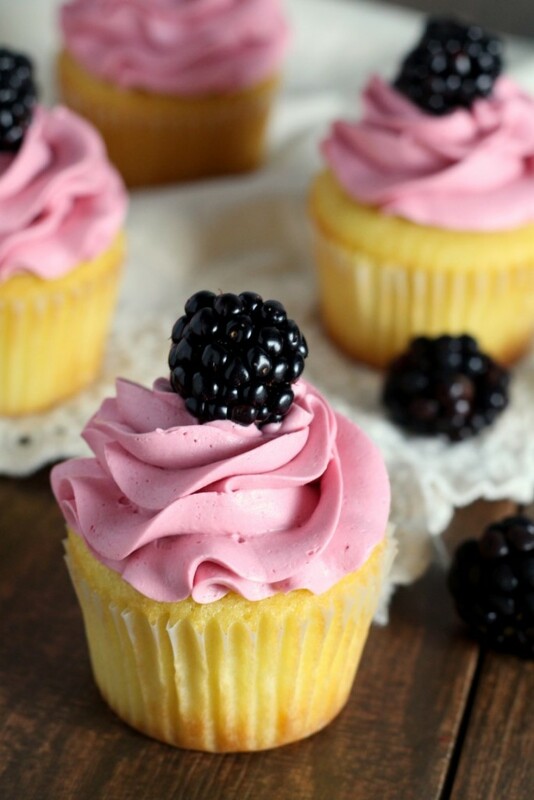 To make the cupcakes, preheat the oven to 350 F. In a medium bowl, whisk together the flour, salt, and baking powder. Set aside. In the large bowl, beat together the butter, brown sugar and white sugar until light and fluffy. Beat in eggs and vanilla. Add the dry ingredients to the wet, stirring just until combined. Stir in the milk, do not over beat. Line a cupcake pan with cupcake papers and fill each hole 1/2 full of batter. Bake at 350 for 20-22 minutes or until they spring back when lightly touched. Remove from pan and allow to cool completely on a wire rack. 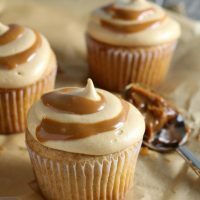 To make the frosting, beat the butter until fluffy, add the powdered sugar, salt and dulce de leche, beating until smooth. Add enough of the cream or milk to make a smooth consistency. 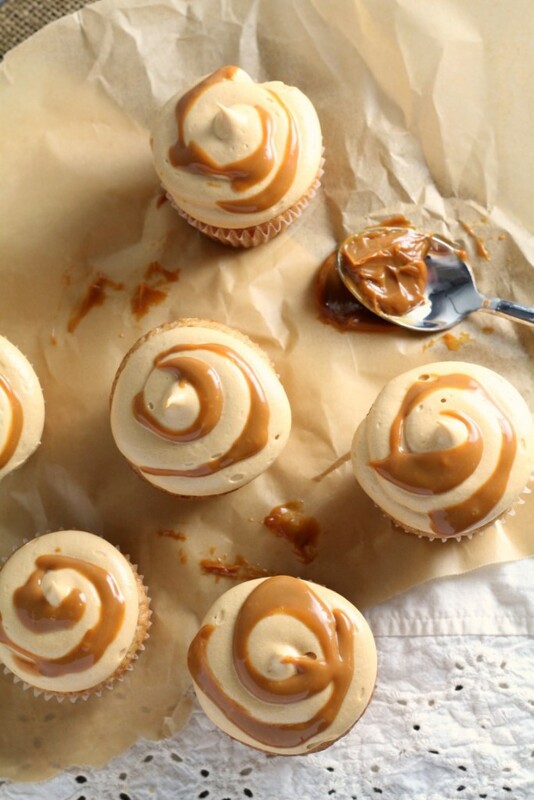 Frost the cupcakes generously and drizzle with additional dulce de leche if desired. I warmed mine and thinned it with milk so I could drizzle it on top. 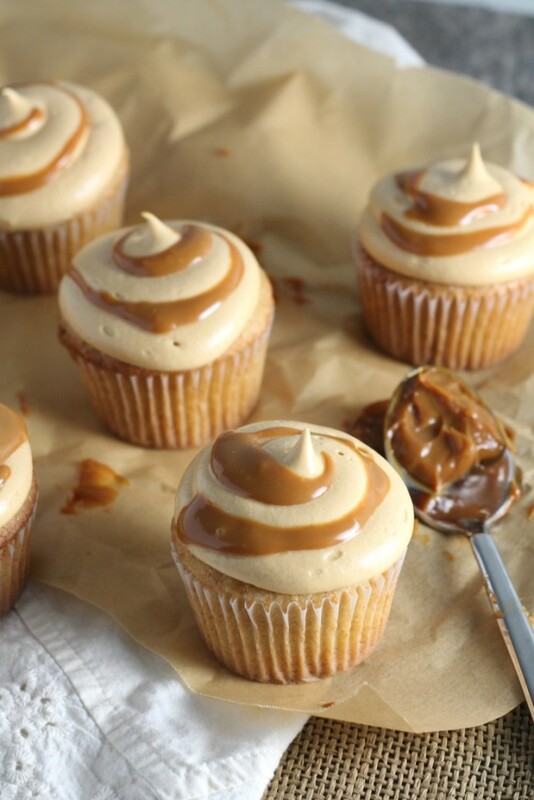 Caramel cupcake recipe adapted from these Triple Caramel Cupcakes by Sally’s Baking Addiction. 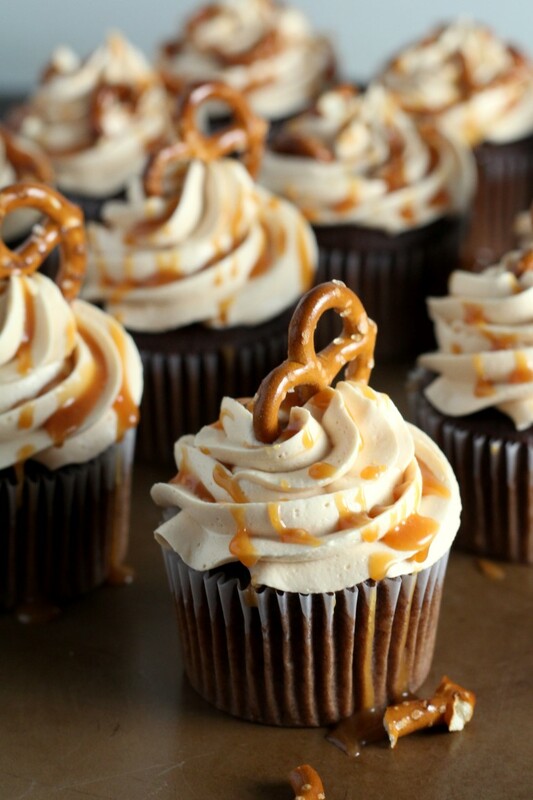 While we’re on this theme, these Churro Cupcakes from Swanky Recipes also look delicious. Mallory, this looks tasty! These are absolutely mouth watering! It will quickly disappear in our house, very tasty and flavorful!